Hello! I am officially on school holidays! It has been a mammoth school term (12 weeks for us teachers) and I am in need of a really long sleep…. I’m back with some Janes’s Doodles tags that I made last week and haven’t had a chance to post here until now. You can find the original on the Jane’s Doodles blog here. 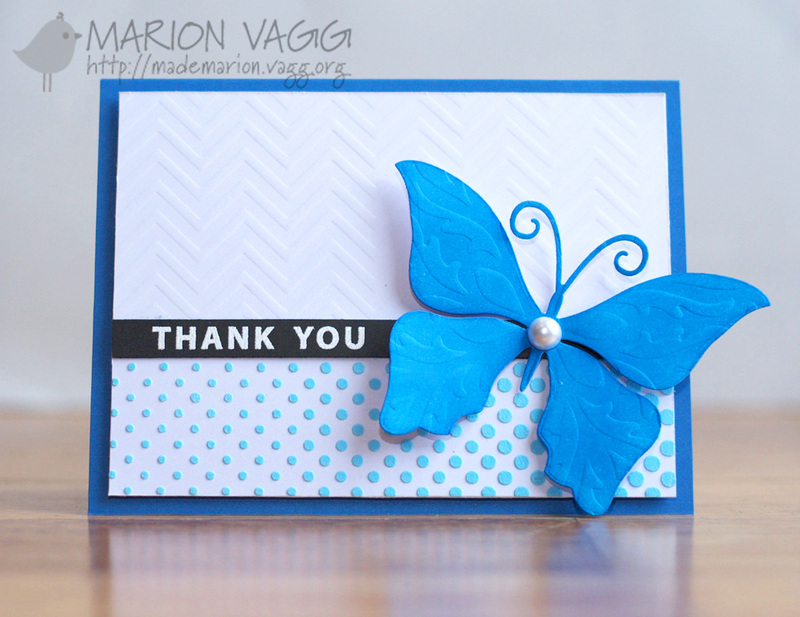 The butterflies are from the Doodle Flowers stamp set and the sentiments are from the Dots and Strips stamp set. 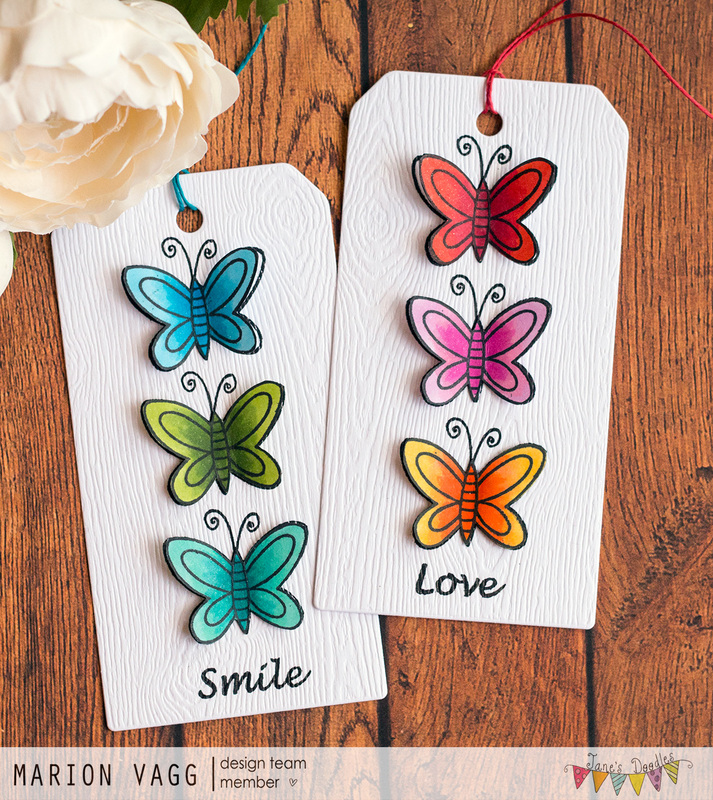 Nothing too complicated – simple Copic colouring, fussy cutting and then I stamped the image in black on the tag (to get the antennae) and then adhered the wings over the top. I added some shimmer to the wings as well. 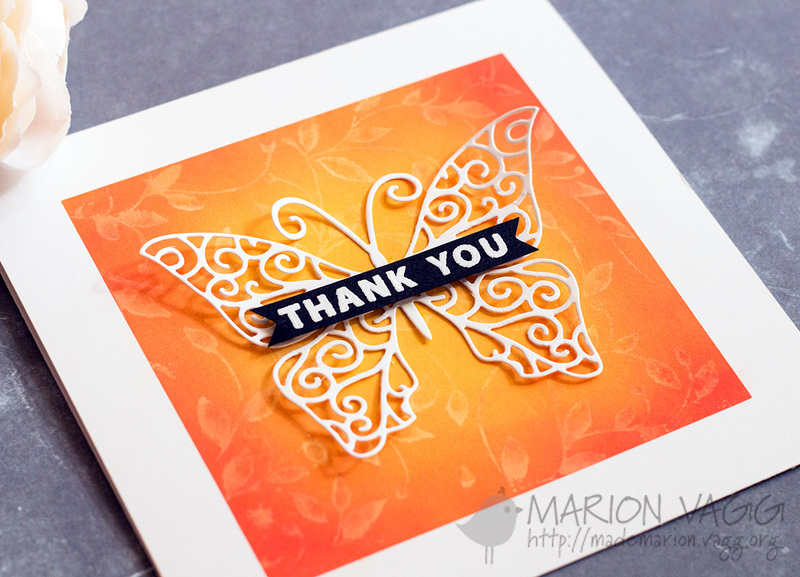 I have a Penny Black card to share with you today – using two of my most favourite crafty items – Dies and Oxide Inks. 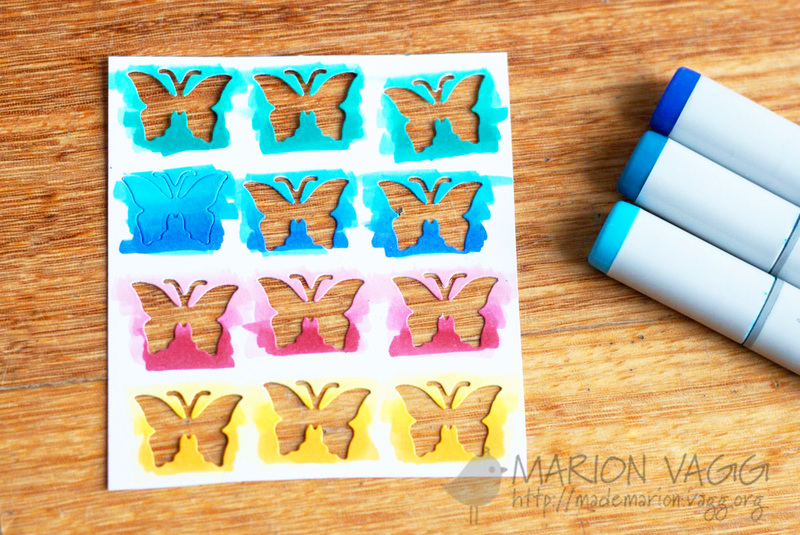 I *may* have added a couple more Distress Oxide inks to my stash recently, so I was just itching to use them. I started by masking off a border on the front panel of my card, and blended in some Fossilized Amber, Spiced Marmalade and Candied Apple Oxide ink. I spritzed the Penny Black Verdure rubber stamp with some water and stamped the inked panel – I love the watermark/oxide ink effect that it created in the background. 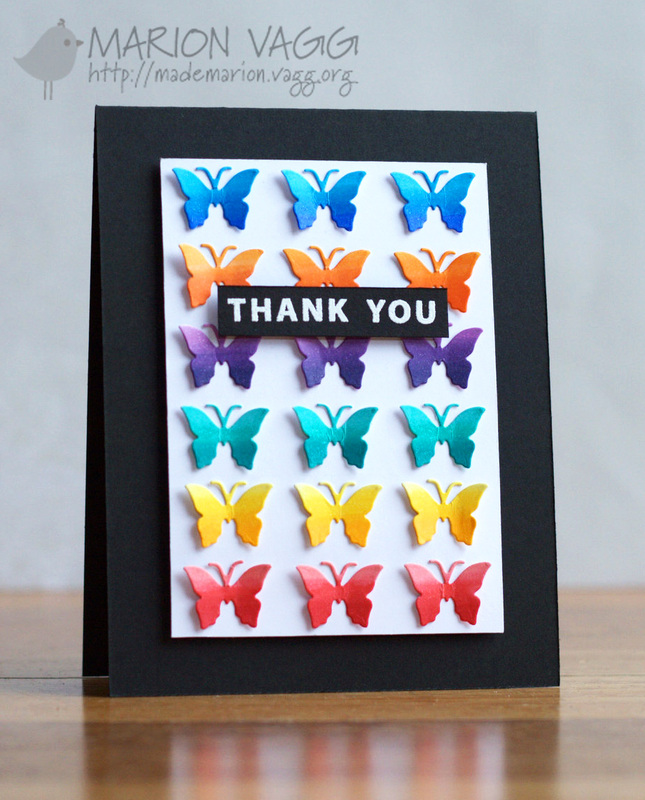 I then added the Penny Black Swirling Wings butterfly die onto the panel and white heat embossed the Thank You sentiment onto black card stock. 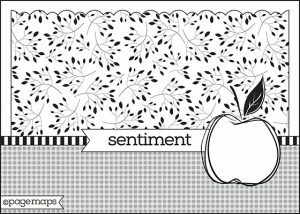 It is part of a sentiment from the Penny Black Kind Words stamp set (I did some stamp surgery). I hope you all had a wonderful Christmas. We have had our house full of people, 12 in total, so it has been very busy in the kitchen, but loads of fun as well. I can’t believe that today is the last day of 2015. What are your plans for celebrating New Year’s Eve? We are heading down town for an annual firework display over the harbour and then we’ll play some games to bring in the New Year. 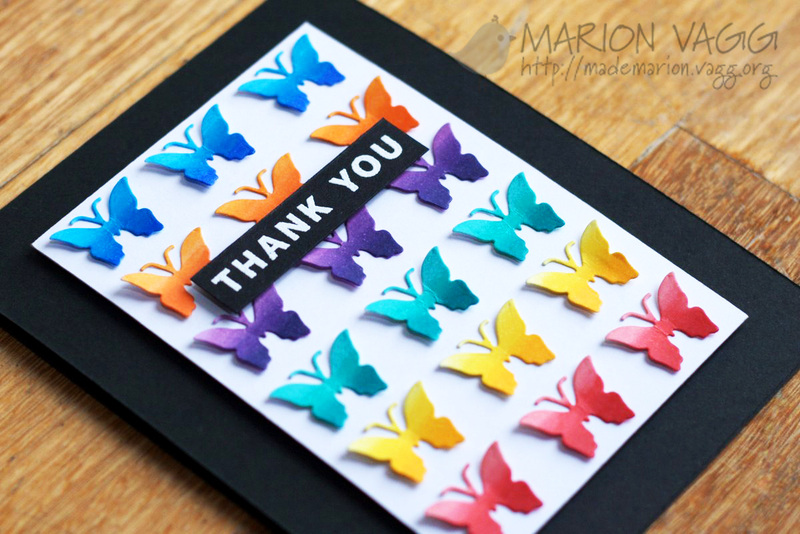 Today I am sharing a thank you card as I want to thank all of you, my blog readers, for your support and encouragement this year. I hope that you have found some inspiration from the cards that I make. I really appreciate all your comments. 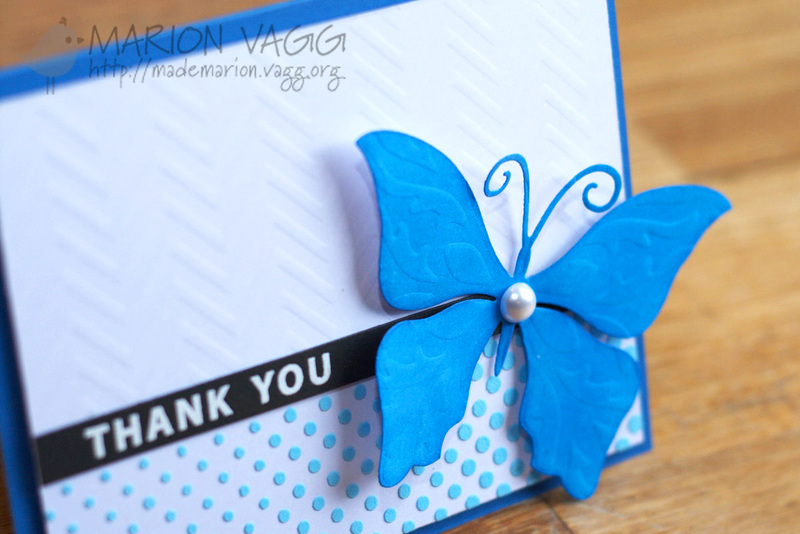 Today I’ve used Penny Black dies, stamps and stencils on this card. And I got to use my new Kuretake Gansai Tambi watercolour set that my hubby got for me for Christmas. Wow they are so creamy and luscious. Thanks for stopping by. I’ll see you in 2016! Happy New Year!